We’re just getting back from the Prosper Show in Vegas, and we’re excited about all the good that came from that fantastic event. Dedicated to Amazon sellers, Prosper was the epicenter of awesome for those two days.It was exciting to get to see so many of you in person, to both connect with those of you who’ve been with us already, and to meet our new users and the new members of our MBS family. We look forward to a long and prosperous relationship.In these weekly letters we bring you Tips & Tricks for MBS, either new stuff or things you may not have known. We have a Sellers’ Paradise section for general interest items in the world of eCommerce. This week, for example, we offer insight on chatbots.In The World of Amazon each week we bring you helpful info on the titan in whose sandbox we all play. This week it’s Amazon’s strategy when it comes to 3rd-party Sellers.And each week we bring you a little Humor, something to make you smile, as well as a tasty Quote of the Week to bring a little inspiration.Great again to see you at Prosper. More great shows are coming. Check out MBS Out & About for where to find us next.Have a great week! Amazon is collecting and remitting taxes on Sellers’ behalf for sales in several US States. To reflect that we’ve added a column in the Geo Analyze section of your ManageByStats (Customers > Geo Analyze).Any state where the MFT (Marketplace Facilitator Tax) is being collected will show the value of the tax collected in the new MFT column: You can sort and apply the usual filters available for the Geo Analyze function.The MFT column is just one more way to maintain awareness of the complete sales picture, and where your revenue is going. SellerConSellerCon is the event you don’t want to miss, and it’s happening this June 21st thru the 23rd. 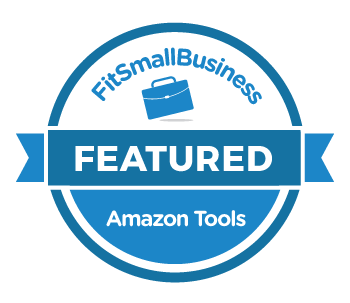 Join thousands of Amazon sellers in Las Vegas, Nevada to discover what’s working now on Amazon, what’s changed, and how to build a thriving global brand.ManageByStats will be in attendance, and we’ve got a very special deal we’re sharing with you here. For more on SellerCon -- and to get this special offer -- visit the SellerCon site:SellerCon 2019PROMO CODE: MARCH25 IRCE ChicagoIRCE Chicago begins two days after SellerCon, so there’s time to do a little state-hopping and head there from Vegas after SellerCon ends.Sign up for IRCE here:IRCE 2019Promo Code: EXIV838375 EmpoweryDo you believe that people working together can accomplish more than one person can do on their own?What if you had a group of allies, all intent on the same goal?Welcome to Empowery. The Empowery eCommerce Cooperative is about uniting the power of individual Internet Sellers so that each member can accomplish more.Empowery members have access to a network of successful business owners on whose expertise they can rely on to help them over business-related speed bumps. In return, your knowledge and experience add valuable authority to the group.They’re having a 3-day Inaugural Summit in Seattle this May, the 16th thru the 18th.Empowery Inaugural SummitGeneral Admission: MBS20GAVIP Admission: VIPMBS20We’ll be sharing more in the coming newsletters. This is a great opportunity to connect with a network of like-minded entrepreneurs, allowing you to both add to and draw from a stable source of knowledge and power. “Entrepreneurship is living a few years of your life like most people won’t, so you can spend the rest of your life like most people can’t.”- Anon To your success,Your ManageByStats Team Read Our Newsletters Online! And don't forget to share ManageByStats with your friends. Our affiliate program pays you an ongoing 25% referral commission.See the Affiliate menu under Settings in your ManageByStats.